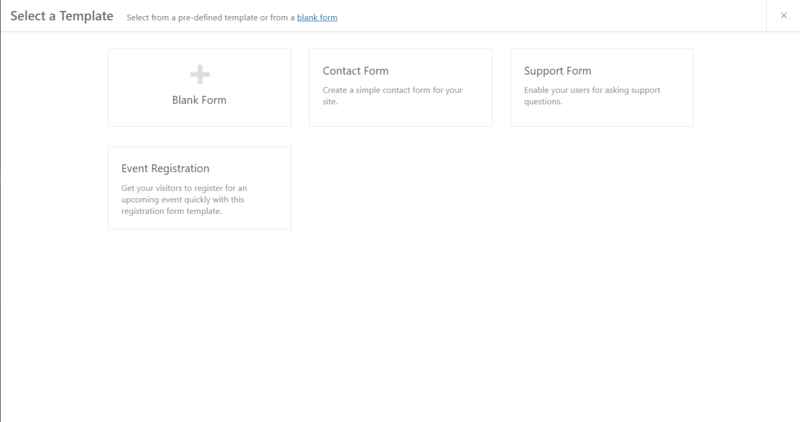 weForms – The Fastest Free Contact Form Plugin for WordPress is Here! So, we introduce the fastest contact form plugin built with vue.js and it has made the interface unbelievably fast. Now, you can create different types of forms for your WordPress site with a single click and within a single page. It's really exciting that how vue.js makes the interface of a WP plugin in the WordPress backend very fast and responsive. If you are facing problems with your current contact form plugin, you can try weForms as a better option as it has faster and better functionalities. You can also watch the video to see how fast and feature rich weForms is! weDevs is the maker of WP User Frontend Pro and it is one of the most popular frontend posting plugin's out there. We have conducted thorough research on this matter and have been working actively to make form building faster within WordPress. Now, we are here to announce you something special that you all have been waiting for! 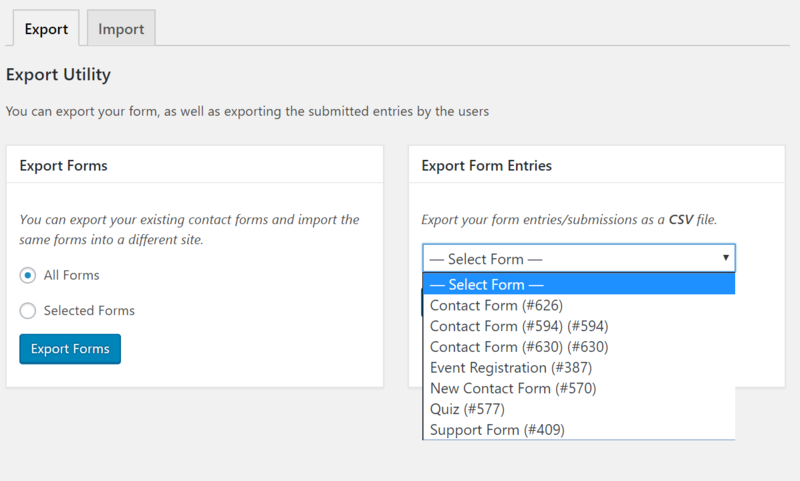 How you use your WordPress powered site is going to change thanks to the fastest and easiest contact form plugin, weForms. A contact form is essential for any kind of website. With this new free Contact Form plugin from weDevs, you are getting a package of the industry standard features implemented with a focus to use contact forms as a powerful tool on your website, and most of it is totally free! 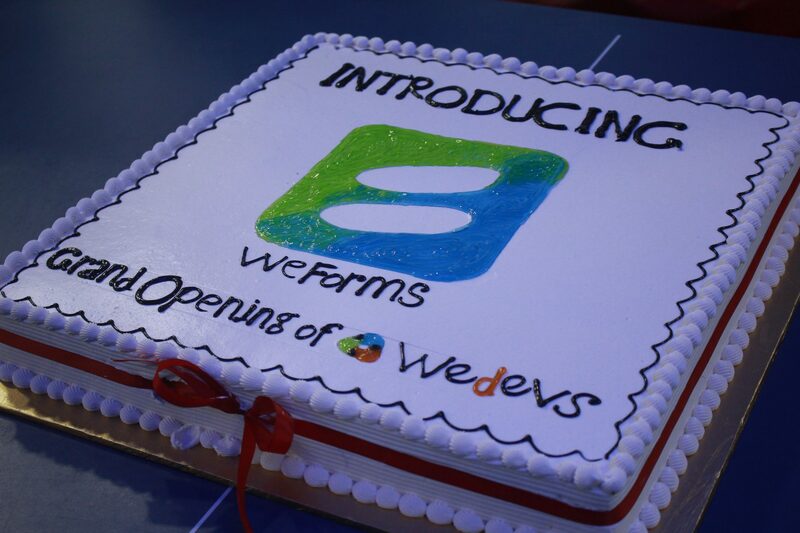 weForms Launching Cake And It Was Tasty! WordPress is evolving, why not we? WordPress powers more than 28% of the world's internet. So, naturally, there is a big demand for contact forms just in this direction. An efficient, easy and powerful form plugin at no cost means people will start to use their website with more focus on customer communication, feedback, marketing and even provide support for it. Many of the current users already want to do the same. The free ones on the market are helpful, but they do not provide advanced features. Thus, users who want these features need to get a premium plugin. However, cost sometimes become a barrier for them. It's true you cannot get good stuff for free, not always. But there are people who love to help others and Takayuki Miyoshi is one of them. He released the famous Contact Form 7 in 2006 and it helped a lot of people. You can see the download amount and active install of this plugin as proof. Contact Form 7 was the first ever comprehensible contact form plugin which people could use effectively for free – and so now it stands with over 60 million downloads and 3 million+ active installs. 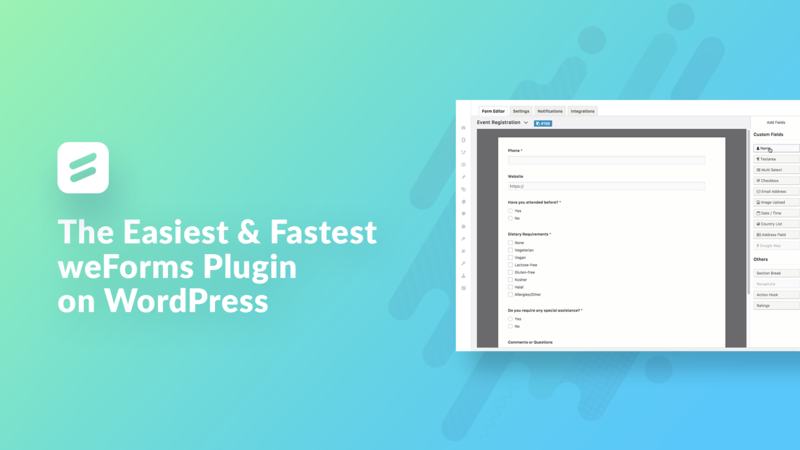 Well, it's 2017 now and we want to help WordPress users too and that is why we are bringing weForms, the fastest and easiest form plugin for WordPress. weForms is FREE to install on your WordPress site. 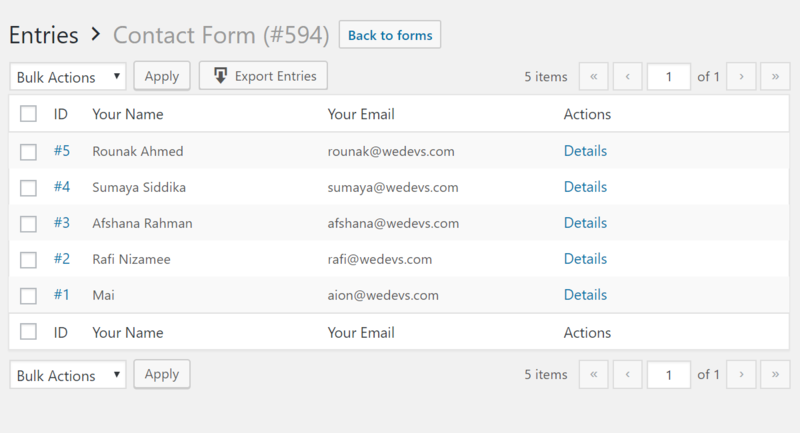 But that's not new, a lot of other form builder plugins which support contact forms are free too. So, what we have to offer? weForms is faster and very easy to use. Besides that, we laid out all the features that are essential for powerfully managing contact forms for free. Our conscious feature packaging ensures that you get all the required basic features for free and also the advanced features at a minimum price. weForms is fast, really fast! You may say how? Well, it is developed using vue.js and all of the actions are performed within a single page. This has reduced the loading time and you can get a smooth faster experience while creating contact forms. What most people struggle with is creating the desired form and making it work exactly where and how he/she wants to. Sometimes they even need to take techy help to make it through. But weForms is too easy to be true. Users will be able to design and implement even the most complex kind of forms without anyone's help. With templates designed for common tasks that can let you start instantly! Also, the builder lets you see that changes you make to your form in real time. You can drag the elements into the form from a sidebar and also customize it from therein. 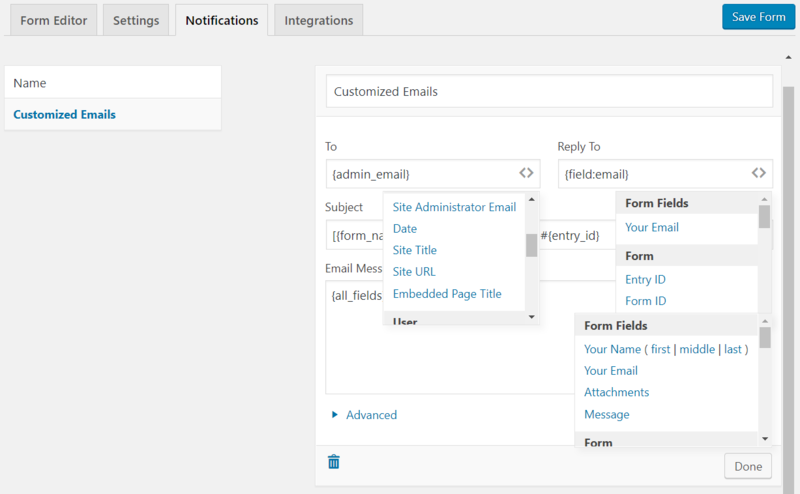 We have integrated the very popular MailChimp and, MailPoet for weForms in the Personal Package. So, with each submission, you will be able to grow your contact list on your email marketing platforms and reach more people. weForms already have more than 10 integrations beyond the mailing list and we have plans to add more very soon for our advanced packages. Dive into the Awesome Features of weForms! Compared to the other free contact form plugins, weForms has a huge advantage of having more resourceful features rather than just asking you to pay for it. weForms is loaded with tons of important features in for both FREE and Pro. We have looked deep into the problems of the people who use other contact form solutions and designed this plugin to be a solution of solutions! Here are highlights. Just one click and your entire form is ready to be deployed! Create industry standard forms quickly with our predefined customizable templates to choose from. Design forms faster with our user-friendly builder that lets you drag and drop form elements from the sidebar. What else can make form building easier? Get an instant preview of how your form will look as you build or edit. The form builder responds and updates automatically to all changes you make so that you exactly know what your form will look like. 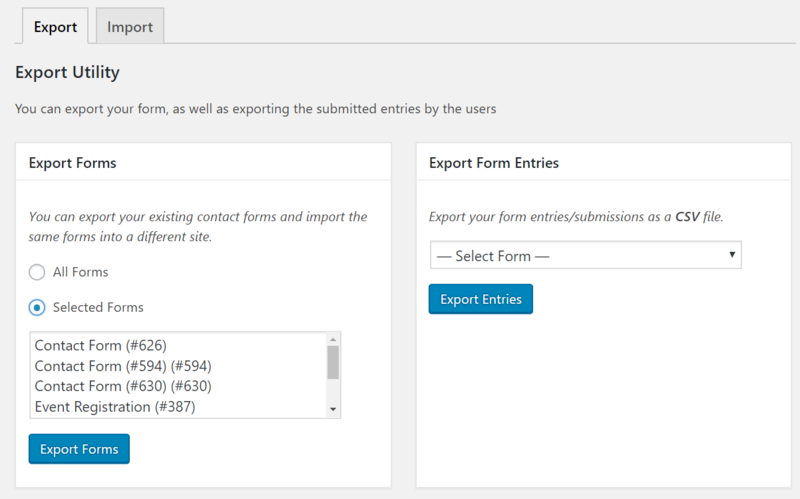 View, manage and export all the submission data stored through your form. We believe that you should own it all- like literally! Stay alert with submissions. 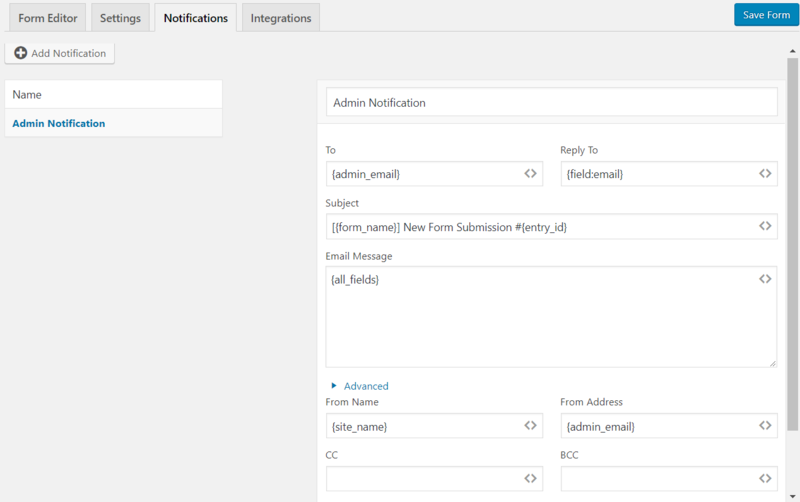 Create multiple custom notification settings on each form with advanced email forwarding and quickly create templates with hooks. Receive email notification every time your form is submitted. You can now configure the notification settings just as you like it. Convert all your data into .csv format and export it to wherever required. Your data is your asset, you should be able to reuse it. Export your weForms to our supported services using our API. Backing up data from your forms made easier than ever. weForms is new in the industry and it has a long way to go. We have considered all the problems that users face with contact forms and want to solve these problems with an easy to use solution. Our main objective is to provide you all the necessary features for FREE, but if you want advanced features, we have the premium packages with handy features and lots integration with popular email marketing plus automation solutions. You can check our detailed documentation for more information and for learning how to use weForms. Data Story Teller, Content Strategist, and WordPress Blogger. Passionate about Researching, Data Analysis, and Email Marketing. Always ready to learn new things and take challenges. Loves to help and empower team members. Awesome stuff!! Good luck cant wait to try it! Thanks for appreciating our efforts. We are giving away the license of weForms personal package for FREE. Use this link to claim yours! We can’t wait to hear your feedback! I like the UI. I feel other plugins are doing wrong by putting a lot of elements which don’t blend with the WP UI, which makes me feel bad. So, congratulations on the form! 1- How can I handle what the form does after submitting? Like redirecting to a thank you page or just display a successful message? 2- Does the plugin has “auto populate” data feature? Like when I set the url has ?field_1=x, then the field_1 will automatically gets the value “x”? By the way, just submitted the post on wpdevnews.com, a place for all WP, dev-related things. We really appreciate that you liked weForms. 2. Currently, we don’t have auto populate data feature, but we have plans to add that very soon. Thank you for submitting the post to WPDevNews. We are giving weForms Personal Package for Free and it contains advanced features and mailing integrations. You can grab this offer from https://wedevs.com/weforms/upgrade-to-pro/ . Just click on the Request Pro for FREE button and fill up the form. Great! Just submitted and got the pro version. Please don’t forget to give your review at – https://wordpress.org/plugins/weforms. Your Review will help us to improve more.